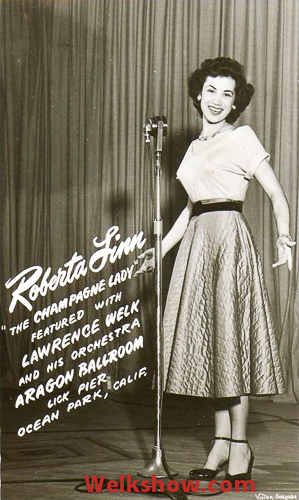 Roberta Linn assumed the duties of Lawrence Welk's 5th Champagne Lady from 1949 to 1954, replacing Helen Ramsay. Linn was born in Gravity, Iowa, close to Bedford, Iowa. She sang for two of Welk's talent managers, Seymour Heller and Sam Lutz, at the young age of 17. 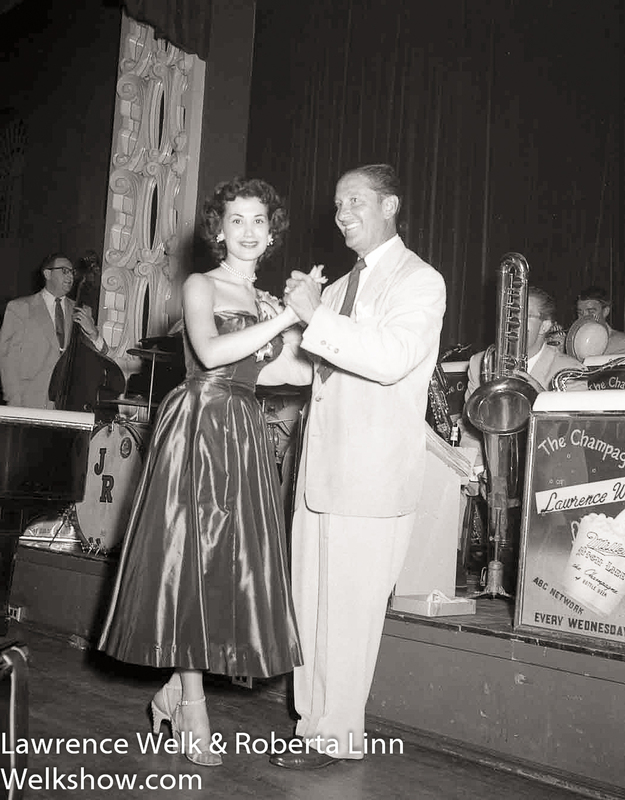 Lutz encouraged her to audition for the part of Champagne Lady during a national talent search. After singing "Embraceable You" to Welk, he asked her if she could come back and sing "Wonderful Guy." That night she went home and practiced the song. After singing it to Welk the next day, she won the job. During her first year, she spent 42 weeks on the road. A stunning and vivacious personality, she was adored by audiences at the shows in both the Aragon Ballroom in Santa Monica and Lawrence's early TV shows on local station KTLA. Linn left the Show after being offered her own TV Show on CBS called "Cafe Continental", for which she won an Emmy, and radio show with Ralph Storey, emcee of the $64,000 Question TV Show. After Linn left the show in 1954, she was replaced by Alice Lon. 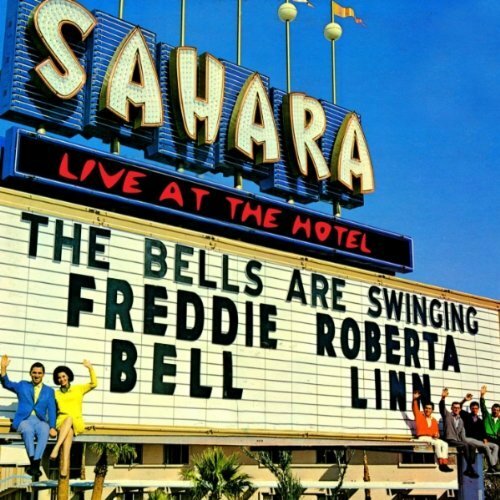 Linn married fellow performer Freddie Bell in October 1961 and they performed together at the Sahara Hotel in Las Vegas for several years. As Linn wrote in one of her books, Freddie Bell's alcoholism, a failed nightclub business in Newport Beach along with the challenges of raising two small children contributed to their divorce in 1972. In March of 1996, the City of Palm Springs declared "Roberta Linn Day" which continues to be celebrated each year.